Queensland - tours, accommodation, parks etc. Queensland – tours, accommodation, parks etc. 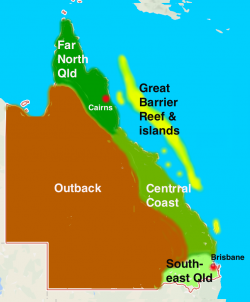 Queensland includes tropical and subtropical (close to tropical) regions, the Great Barrier Reef and many islands, and habitats ranging from lush rainforests to vast outback plains. The main tourism hubs are Brisbane and the Gold Coast in the southeast and Cairns in the far north. It is the only state to harbour the cassowary, cuscus, tree kangaroos and the musky rat kangaroo, and home also to both species of crocodile , both species of lyrebird,both species of wombat (not as common as in southern stats), all three kangaroo species, many wallabies, dugong, humpback whales in the cooler months (migrating from Antarctic to breed) and a great variety of corals, fish and other marine creatures. The mountains to the south and west of Brisbane (and west of the Gold Coast), along the NSW border, encompass the Scenic Rim, harbouring eucalypt forests and woodlands, World Heritage rainforests and other habitats. 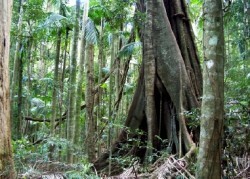 Lamington National Park is continuous with Border Ranges NatioanalPark just across the border, between them conserving the world’s largest tract of subtropical (i.e. near the tropics but not tropical) rainforest. 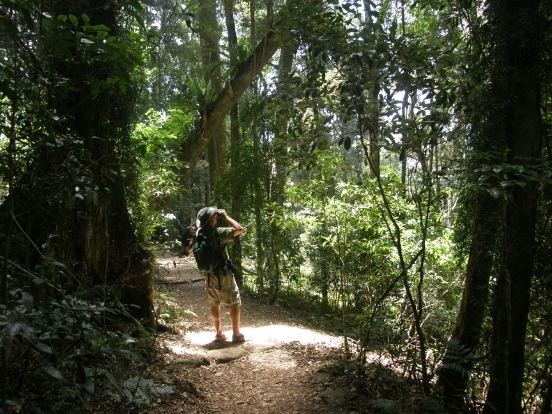 It includes an extensive network of safe, well-marked walking tracks through several kinds of rainforest and open forest plus mallee heath and harbours a high diversity of birds, frogs and other wildlife, including several threatened species. O’Reilly’s Ranforest Retreat and Binna Burra Mountain Lodge provide accommodation on the edge of Lamington NP, and Mt Barney Lodge provides accommodation and outdoor activities in the mountains further west. Between Lamington NP and Brisbane lies Tamborine Mountain, with rainforest walks and waterfalls, and an impressive man-made cave harbouring thousands of glow worms, taking pressure off wild populations and enabling visitors to see them by day (Cedar Creek Estate Glow Worms). These forests of southeast Queensland harbour the world’s only two species of that best of all mimics, the lyrebird, plus bowerbirds, paradise riflebird (the only bird of paradise outside of the tropics), fruit pigeons, bandicoots, geckos, possums, carpet python, many species of bats and frogs, glow worms, Ricmond Birdwing (one of Australia’s biggest and prettiest butterflies) and much more. Two places to see native habitat in the Gold Coast are Burleigh Heads National Park (where you can join a guided walk from the adjacent Jellurgal Aboriginal Culture Centre) and Federation Walk near SeaWorld, with interpretive signage in several habitat types. There are many flying fox colonies in SE Queensland, including several in Brisbane, but they tend to shift their positions now and then. There is also one at Woodend, Ipswich, with a viewing platform to watch thousands of these large winged animals take to the skies at dusk. An important breeding ground for the grey-headed flying fox, which has been diminishing in numbers, is east of Canungra in the Scenic Rim. Near Nerangis a bat hospital run by Trish Wembley. 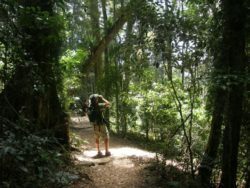 Araucaria Ecotours, Gondwana Guides, Wildside Tours, Tropical Treks and Create-a-Tour are WTA members who lead tours from Brisbane. InterNational Park Tours lead day-walks or multi-day walks in the mountains. 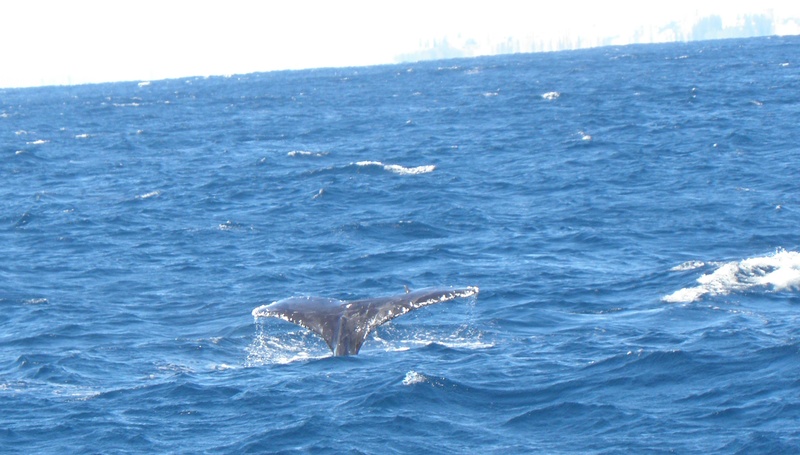 There are several whale watching tours leaving Brisbane, Sunshine Coast or Gold Coast in the cooler months when whales travel from Antarctica to warmer waters to breed, and also several diving companies. One of the southernmost islands of the Great Barrier Reef can be reached by air in a day tour from Brisbane, although it is a shame not to spend at least one night there. The largest wildlife park on the Gold Coast is Currumbin Wildlife Sanctuary, which also has a wildlife hospital, an Aboriginal Culture experience and hundreds of wild lorikeets that fly in for feeding by tourists twice a day. The David Fleay Wildlife Park (another place you can see platypus) is run by National Parks and Wildlife, and specialises in breeding of threatened species. SeaWorld of course specialises in sea animals, including many native fish, dolphins, sealions and penguins, but also also polar bears, which can be seen swimming underwater, and have been breeding there. Dreamworld has a small wildlife sanctuary with koalas, kangaroos and other, and also Tiger Island, with a breeding group of Sumatran tigers. North of Brisbane in the Sunshine Coast hinterland is the Australia Zoo of Crocodile Hunter (Steve Irwin) fame. It includes many native reptiles and other Australian wildlife as well as exotic creatures such as giraffes, cheetahs and otters. It can be reached by train from Brisbane (about an hour’s ride). On the coast is Underwater World, including a moving footpath under a long archway, with marine creatures swimming around you as you travel, as well as a variety of smaller aquaria. There are several national parks in the area, adjacent to the coast and in the mountains. The Great Barrier Reef is the largest coral reef in the world, a huge 2000km long structure of corals, with associated manta rays, turtles, sea urchins, anemones, large and colourful molluscs, and myriads of tropical reef fish. 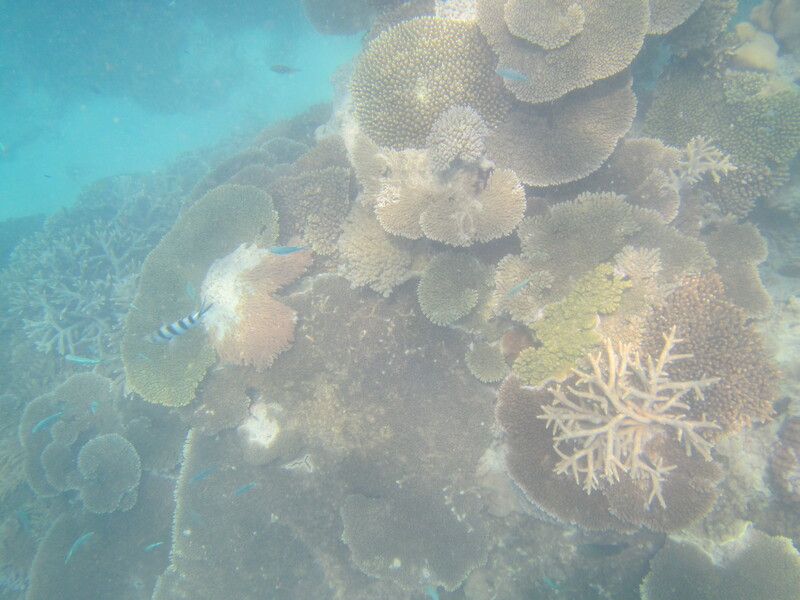 Snorkeling or diving on the Great Barrier Reef ranks as one of the world’s great wildlife experiences. Other associated habitats include mangroves (with many endemic species) and seagrass beds (important to dugongs and sea turtles). In the far north there are a number of excellent diving tours to the reef, tropical islands you can stay on, and a chance to swim with the very impressive minke whales (Eye to Eye Marine Encounters). Michaelmas Cay is also famous for its birdlife. There are several places you can stay right on a coral island (notably Heron Island in the north and Lady Elliott Island in the south). 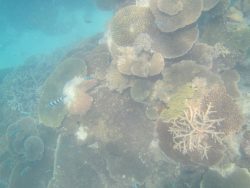 A number of continental islands also have accommodation and good snorkelling opportunities, especially near Cairns (Far North) and the Whitsunday Islands. Further south again is the large sand island Fraser Island, with incredibly clear streams running through rainforest, and beautiful lakes amid sand dune landscapes, and whale-watching during winter. There is a large resort on the island plus various smaller operations, and camping. Closer to Brisbane are the islands of Moreton Bay, including Moreton Island (mostly national park) with Tangalooma Resort, where you can feed wild dolphins (carefully regulated so as not to have negative impact on the dolphins or put humans at risk). Several islands can be reached by regular ferry services. In the warm waters of Queensland’s central coastline, you can come face-to-face with turtles while diving or watch them come ashore to lay their eggs, feed a friendly wild dolphin (strictly regulated to avoid harmful effects) at Tin Can Bay, see the giant humpbacks breaching and playing (including at Australia’s largest whale-watching centre, Hervey Bay), or look for the quietly-grazing dugongs in the sea-grass beds. Mon Repos Turtle Rookery near Bundaberg (about a 4 hour drive north from Brisbane) is the largest hatching ground in eastern Australia for green, loggerhead and Australian flatback turtles. The best time to see the turtles nesting is after dark during the months of November to February. Visitors must enter with a guide from National Parks. Capricorn Caves near Rockhampton house fossils and colonies of very live microbats. Rockhampton has a small zoo in the Botanic Gardens. Eungella National Park near MacKay, a very lush and scenic area worth visiting for that alone, is also one off the best places in Australia to watch wild platypus. Musky rat-kangaroos (tiny animals somewhat similar to the ancestral kangaroos of around 15 million years ago), tree-kangaroos, cassowaries, Boyd’s forest dragon and some of Australia’s biggest and brightest butterflies inhabit the forests here. The Wet Tropics World Heritage Area is in fact home to 30% of Australia’s marsupial species, 60% of its bats, 30% of its frogs, 23% of its reptiles and 18% of its birds. In the very far north (Cape Yorke Peninsular) and shared with New Guinea is the large and spectacular palm cockatoo. 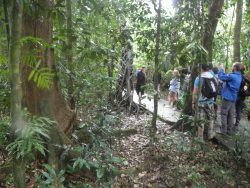 Several excellent tour companies operate here, including Alan Gillander’s tours, Cassowary Tours, Sicklebill Tours and Kirrama Wildlife Tours, the Daintree Boatman Nature Tours and Wait-a-While Tours. 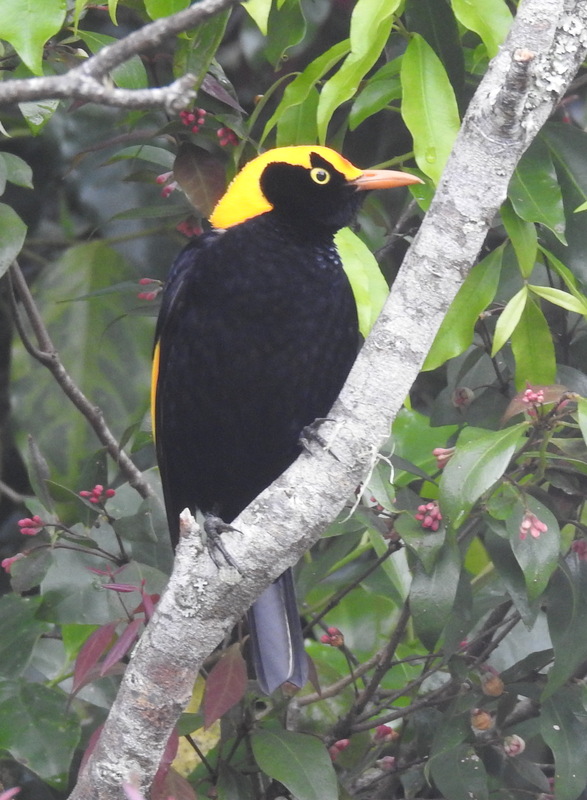 For accommodation run by people who really know their birds and other wildlife, there is Cassowary House (which really is frequented by wild cassowaries) and Kingfisher Park Birdwtchers Lodge. 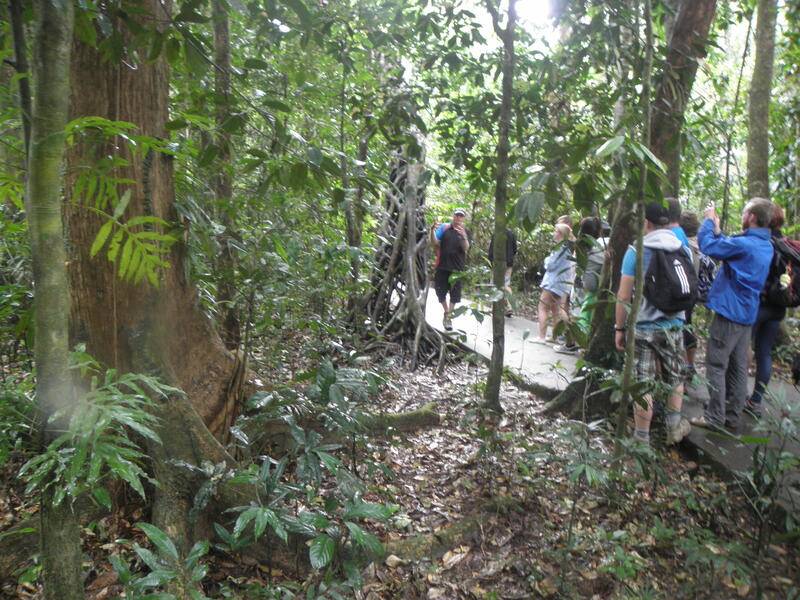 On the Atherton Tableland you can visit the rain forests of Kuranda, Lake Eacham and Lake Barrine. Other places to see wildlife include the Bat Hospital, Hartley’s Crocodile Adventures, Cairns Tropical Zoo, Cairns Night Zoo, Rainforest Habitat Wildlife Sanctuary, Daintree Mangroves Wildlife Sanctuary, Billabong Sanctuary, BirdWorld Kuranda and the Australian Venom Zoo. Townsville boasts a Marine Museum, with animals of the sea as well as human history featured. Much of Queensland is also outback, with red sands, red kangaroos, plenty of emus, Major Mitchell cockatoos and a great variety of parrots and lizards. 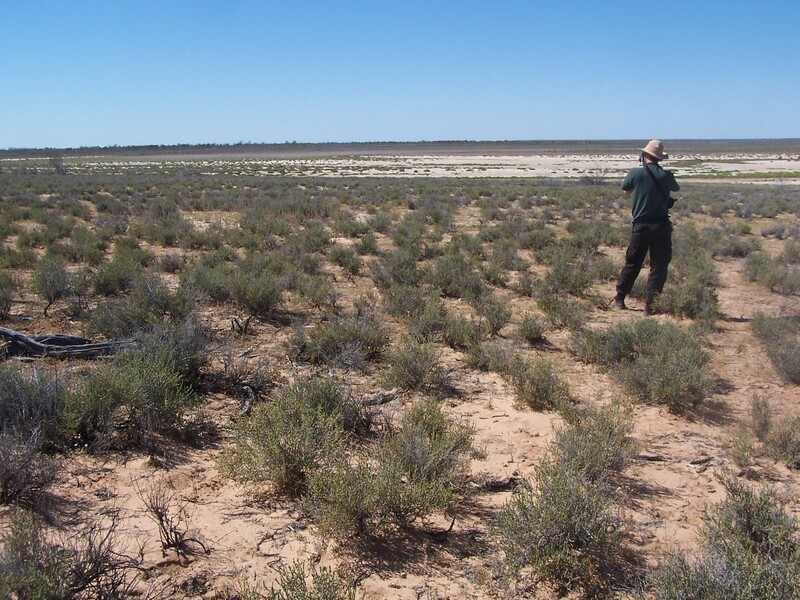 Two of Australia’s most important lakes for outback waterbirds are at Currawinya National Park. Gondwana Guides and Araucaria Ecotours lead outback tours from Brisbane to Bowra (wonderful birdlife) and Currawinya National Park. Kilcowera Station and Bowra Station have accommodation, and there are various small country pubs and campgrounds. Don’t be too surprised to see emus or kangaroos wandering the streets of the smaller towns. Avoid driving too fast at night, when hundred of kangaroos may be crossing the road. In the north are many fossil finds. The Flinders Centre in Hughenden displays hundreds of dinosaur fossils, a full-size model of the Muttaburrasaurus, and hands-on educational activities for children. The Australian Age of Dinosaurs Museum holds the world’s largest collection of Australian dinosaur fossils. 110km southwest of Winton is Lark Quarry Dinosaur Trackways, where the well-preserved footsteps of a large carnivorous dinosaur are seen amongst the footprints of about 300 small dinosaurs, apparently stampeding in panic. The mammal and reptile fossils found in the far northwest at Riversleigh, dating back to 15 million years, revolutionized much of our understanding of our fauna’s history, and Riverleigh is indeed one of the richest fossil fields in the word. You can learn a lot about the fossils and what they taught us at the Riversleigh Fossils Centre in Mt Isa.